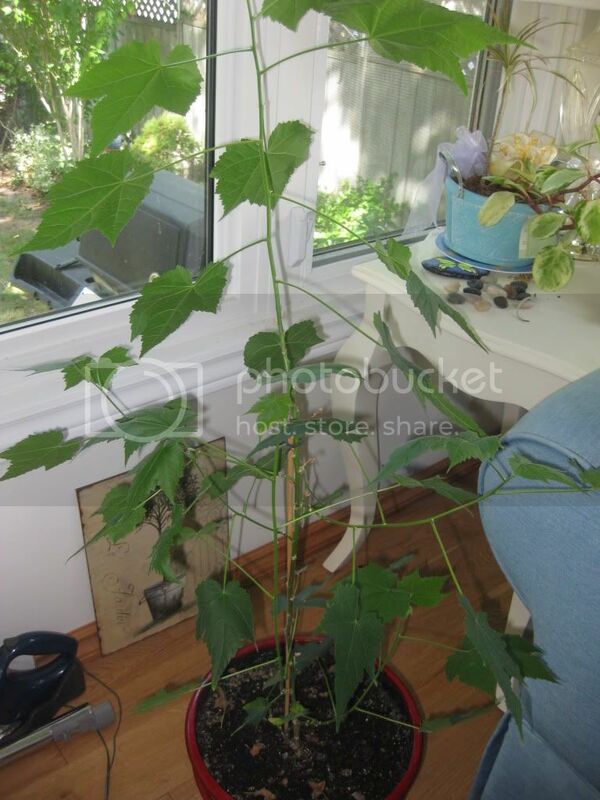 How can I have a stronger stem for my Flowering Maple plant (see photos)? Fast growing, evergreen shrub reaching up to 6 feet. 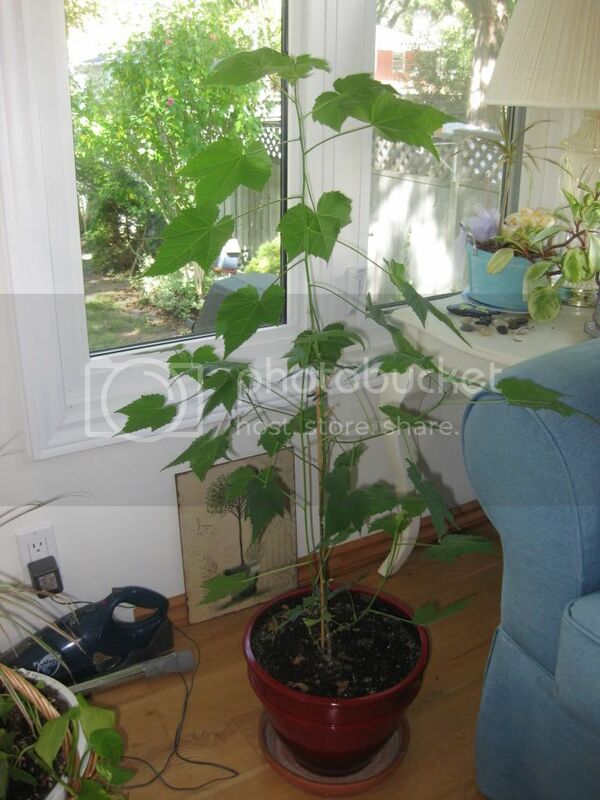 Leaves are oval, light to medium green, maple-like in appearance and up to 5 inches long. Grown for showy, pendent, bell-shaped flowers in yellow. Blooms all year long. This plant was a favorite of Victorians, growing well in bright conservatories and relocated outside in containers during warmer months. Whiteflies, spider mites, scale insects and and mealybugs may be a problem. May be grown outside year round in frost-free areas or against warm wall or protected space in marginal areas. Use in shrub border, container garden, houseplant, or as espalier. Right now, the plant is about 3 feet high and the stock isn’t all that strong. 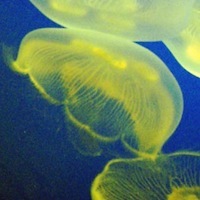 A few photos. More light, less water, maybe. Do you fertilize it at all? The more light a plant gets the stronger it grows. A plant with insufficient light will tend to be taller and less stocky. @Adirondackwannabe It’s in direct sunlight. Perhaps, one of those fertilizer sticks would help? I’d hold off on the fertilizer. That will encourage more growth, which will make it weaker. How many hours a day of direct sunlight? Pruning usually causes plants to branch out. Feeding: Abutilon can be heavy feeders, probably because they do so much blooming. This is especially true when they are grown in containers. Feeding every other week with a dilute, water soluble fertilizer will keep them blooming. 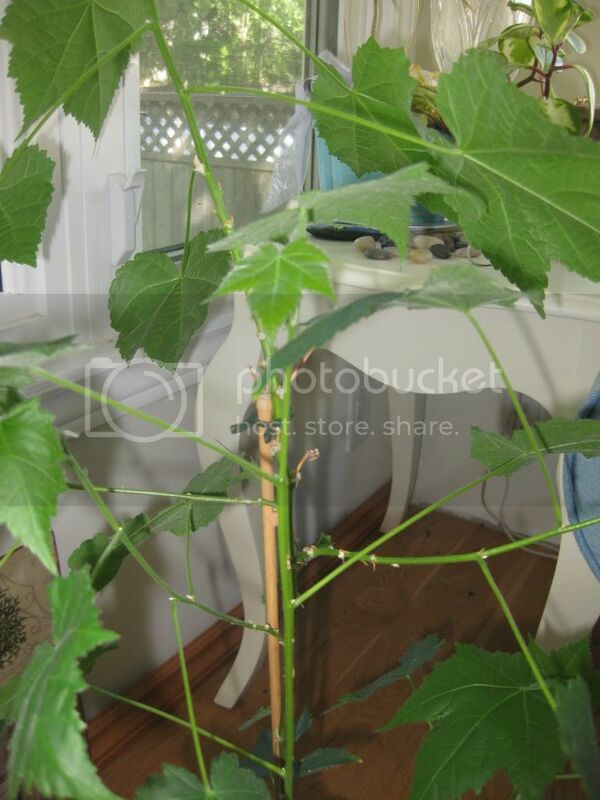 Pruning: Abutilon takes pruning well. Tip prune young plants, to spur new growth and get a fuller shape. If yours starts to become tall and gangly, snipping it back to a leaf joint will encourage it to send out new branches. Abutilon can also be pruned back hard in the spring, if you want to control its size. Best fruit trees for zone 5 or 6? How's your garden faring this year? What plants can I sever and plant?